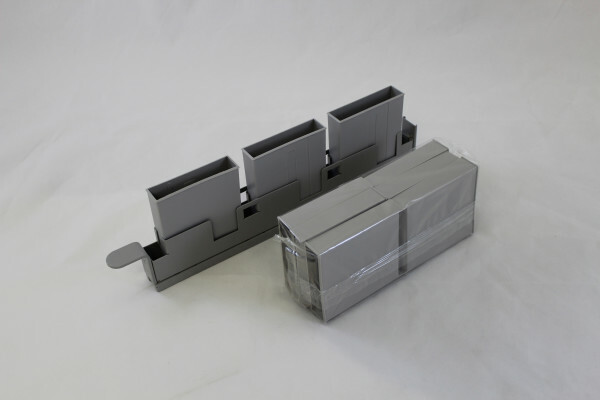 Disposible reagent troughs for Tecan instruments. 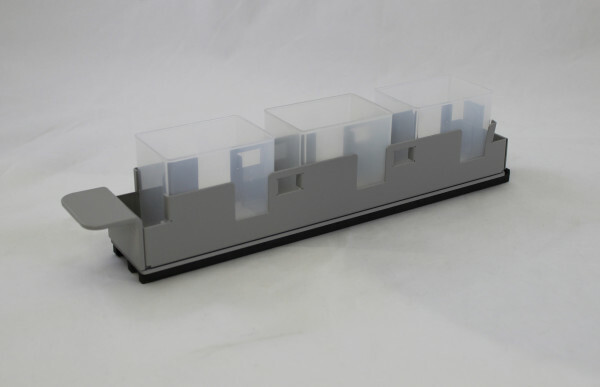 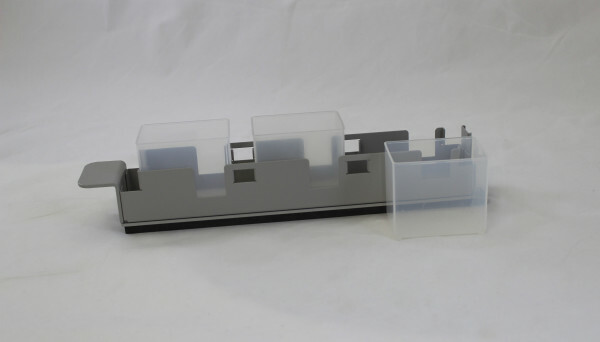 Disposable reagent troughs fit into carriers for the instrument deck. 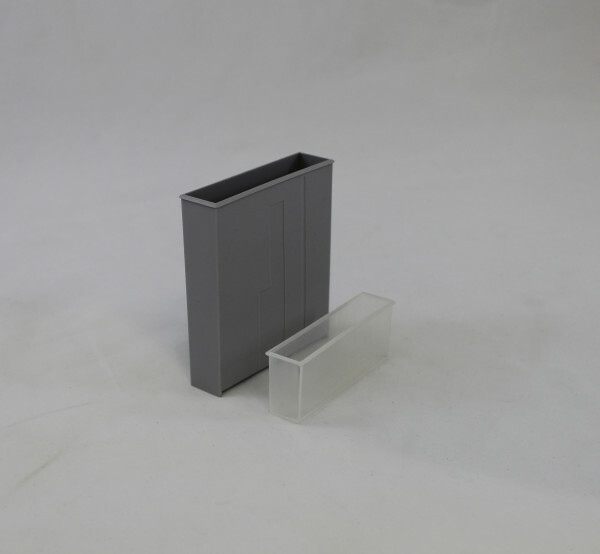 Clear 25ml insert is available for the 100 ml trough. 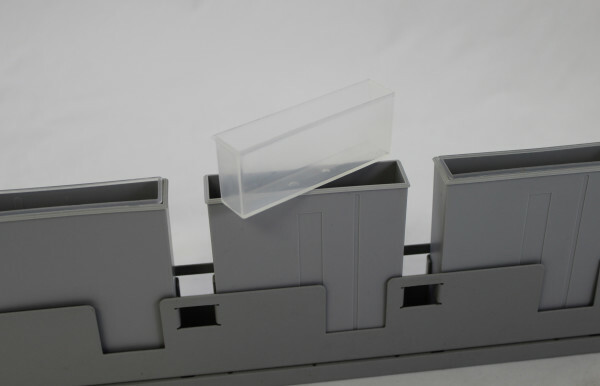 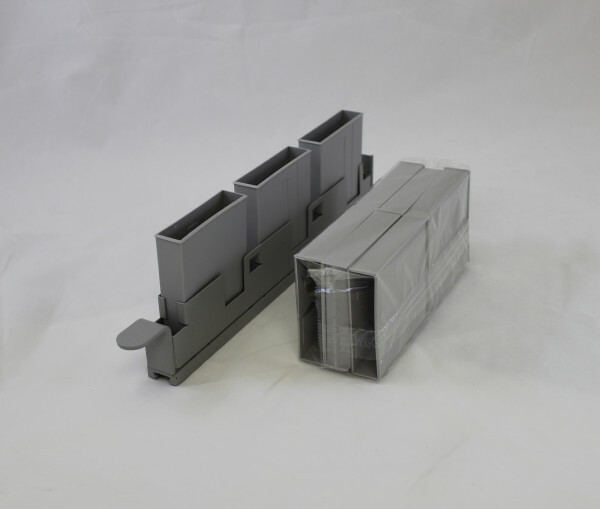 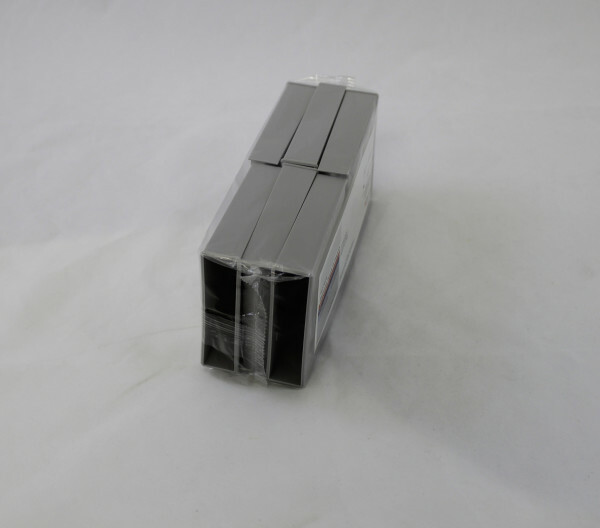 Wider strip Carrier is shown with 3 200 ml disposable troughs.